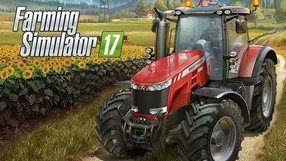 The definitive edition of Farming Simulator 2017, released in 2016 by Focus Home Interactive. The game was developed by one of the best developers in this genre, GIANTS Software, and it offers all features that are available in the original game, including all the add-ons, but it also has a few new things. The game's biggest attraction is that the game is set in South America. With this setting come new types of plants (sugar cane), cows and machines that weren't available before. The developers cooperated with such companies as CASE IH Austoft, Stara, Double TT, Bizon and Gessner Industries and they introduced, e.g. CASE IH A8800 MR harvester to the game. The total number of all the machines available in the game is more than 270 and they come from 80 different companies. 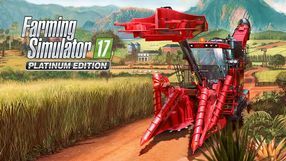 Farming Simulator 17: Platinum Edition is sold as a standalone add-on or as Platinum Expansion for all owners of the original game. All players that own the Season Pass can get the new content for free. 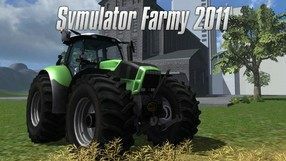 An official expansion to the farming simulator published in 2014 by Giants Software. Farming Simulator 15: Silver is an expansion designed for the seventh generation of consoles, namely PlayStation 3 and Xbox 360 and, in contrast to the next-gen consoles edition called Farming Simulator 15: Gold, its contents are a bit reduced. This add-on does not introduce any changes to mechanics. During the gameplay the player takes control of tractors, harvesters, and trucks produced by such manufacturers as Zetor, Tatra, Rostselmash, and Farmtech. In contrast to the Gold version, there are no new farming areas in Eastern Europe, yet the remaining elements from both DLCs are included, so players can make use of new equipment and 20 new farming machines. A complete edition of 2014's Farming Simulator 15, featuring the Official Expansion DLC and developed by GIANTS Software. As usual, the player's main tasks here are to sow fields, breed animals and buy gradually better equipment for money earned from selling crops and other goods. The game offers three different environments with different climatic conditions: one is a Central European location, the second was inspired by Scandinavian landscapes, and the last resembles Eastern Europe (this one was introduced in the Official Expansion DLC). What is new in Farming Simulator 15, is an opportunity to manage forests - adequate equipment was added for wood cutting, processing, and transportation. Also, the game brings new machines from real-life companies, such as New Holland, Ponsse, Zetor, Tatra, Rostselmash or Farmtech. 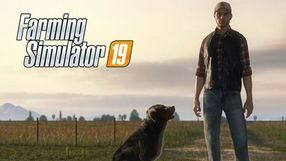 Farming Simulator 15: Gold offers both a solo experience and a multiplayer component for up to 16 players connected either via the Internet or LAN. 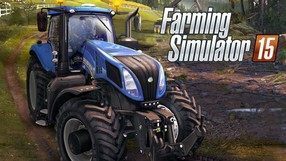 Another installment of the farming simulation game series from GIANTS software. Contrary to most of the major entries in the franchise, Farming Simulator 16 was created solely with the PS Vita handheld console and mobile devices in mind. In the game, we traditionally assume the role of farm owner, and our task is to turn his possessions into a true agricultural empire. Achieving this requires us to sow and harvest, and then invest the money we’ve earned into the farm’s development as well as new vehicles and devices. The title features over 50 fully licensed agricultural machines of various type that we can personally drive while working in the field. Compared to its predecessor, the game offers new sorts of crops, but the biggest novelty is the introduction of forests, along with a pretty big set of hardware for felling and processing trees. The next installment of the series of agricultural simulators from the Giants Software studio. In production we play the role of a farmer who takes care of his farm. The player's tasks include dealing with animals, planting plants, harvesting crops and selling their products. 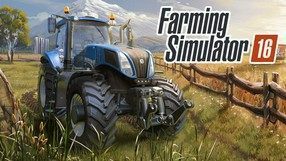 Farming Simulator 2013: Titanium Edition is a special edition of Farming Simulator 2013, available only for computer players. It enriches the title with content previously available only to console version holders, giving you the ability to manage U.S. farms and increasing the number of machines available by about 150. Another installment in a popular simulation game series, developed by Switzerland studio Giants Software. The game puts you in the boots of a professional farmer, who needs to properly manage and develop his farm. This requires you to cultivate land and breed stock, spending the money you earn on new, more efficient machines. The new edition traditionally brings about a score of innovations and improvements. The game features over 20 licensed machines, also new animals and plants were added, as well as details like wilting and rotting of plants. Since the game world is much more expansive than in the last game, you can now purchase land and raise additional buildings. All this comes in improved graphics. The game supports fan-created modifications. A popular "farm simulator" for the Nintendo mobile console version. We play the role of a farmer who develops his farm. The game boils down to planting and harvesting as well as servicing various agricultural machines. In the 3DS version the graphics were simplified, but many features of the popular PC prototype were preserved. 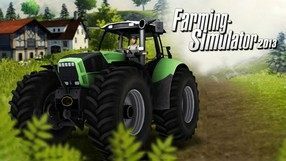 A farming simulator from the popular series known simply as Farming Simulator, developed by GIANTS Software studio. Players take on a role of a young farmer who has to develop 4 square kilometers of land. He must gather funds necessary to establish a modern farm, which he can only achieve through hard work. We must cultivate the land, sow plants and harvest crops, as well as trade collected goods. We make use of various farming machines, like tractors, ploughs, seeders, balers, cultivators, etc. (30 in total), which can be bought with the money we earn. Farming Simulator 2011 introduces cattle breeding, with cows requiring constant feeding and taking care of, providing us in return with natural fertilizer and milk. There is also a career mode, which lets us invite other players to cooperation. A farm simulator, where we use various types of equipment and agricultural vehicles, grow cereals and vegetables, as well as take care of business by performing various missions and tasks. A simulation game allowing you to play the role of the owner of an agricultural holding. With the help of various machines, we cultivate different crops and then harvest them to sell them profitably. The authors focused on realism, both in terms of available vehicles and weather conditions.